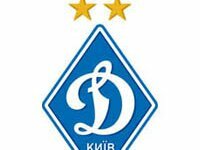 Dynamo Kyiv has advanced to the round of 32 of the 2013/2014 UEFA Europa League. Oleh Blokhin's side beat Austria's Rapid Vienna 3-1 at the Olympiysky National Sports Complex in Kyiv on Thursday. The visitors opened the scoring with a goal from Terrence Boyd in the sixth minute. However, goals from Jeremain Lens (22), Oleh Husiev (28) and Miguel Veloso (70) brought the Ukrainian club to victory. In another Group G match Belgium's Genk beat Switzerland's Thun 1-0 away. Genk has won the group with 14 points, Dynamo completed the group stage in second place with ten points, Rapid has six points, and Thun collected three points.